Gregory, K., S. J. Khalsa, W. K. Michener, F. E. Psomopoulos, A. de Waard, and M. Wu. 2018. Eleven quick tips for finding research data. PLOS Computational Biology 14(4): e1006038, doi:10.1371/journal.pcbi.1006038. Khalsa, S. J. S. 2017. Data and metadata brokering—theory and practice from the BCube project. Data Science Journal 16, doi:10.5334/dsj-2017-001. Yue, P., R. Ramachandran, P. Baumann, S. J. S. Khalsa, M. X. Deng, and L. C. Jiang. 2016. Recent activities in Earth data science. IEEE Geoscience and Remote Sensing Magazine 4(4): 84-89. doi:10.1109/MGRS.2016.2600528. Duerr, R. E., J. McCusker, M. A. Parsons, S. S. Khalsa, P. L. Pulsifer, C. Thompson, R. Yan, D. L. McGuinness, and P. Fox. 2015. Formalizing the semantics of sea ice. Earth Science Informatics 8(1): 51-62. doi:10.1007/s12145-014-0177-z. Raup, B. H., S. J. S. Khalsa, R. Armstrong, et al. 2014. Quality in the GLIMS Glacier Database. In: Global Land Ice Measurements from Space. J.S. Kargel, G. Leonard, M.P. Bishop, A. Kääb, and B.H. Raup, eds. Springer-Praxis. Heumesser, C., S. Fritz, M. Obersteiner, J. Pearlman, and S. J. S. Khalsa. 2012. Benefits and challenges of voluntary contribution to GEOSS. Space Policy 28(4): 244-252. doi:10.1016/j.spacepol.2012.09.011. Ballagh, L. M., B. H. Raup, R. E. Duerr, S. J. S. Khalsa, C. Helm, D. Fowler and A. Gupte. 2011. Representing scientific data sets in KML: Methods and challenges. Computers and Geosciences 37(1): 57-64. doi:10.1016/j.cageo.2010.05.004. Klein, L., A. Savtchenko, A. Taaheri, C. Praderas, and S. J. S. Khalsa. 2011. The Language of EOS Data: Hierarchical Data Format. In Land Remote Sensing and Global Environmental Change, eds B. Ramachandran, C. Justice, and M. Abrams, 203-227. Dordrecht, Netherlands: Springer. Meier, W. N., S. J. S. Khalsa, and M. H. Savoie. 2011. Intersensor calibration between F-13 SSM/I and F-17 SSMIS Near-real-time estimates. IEEE Transactions on Geoscience and Remote Sensing 49(9): 3,343-3,349. doi:10.1109/TGRS.2011.2117433. Alber, I. and S. J. Khalsa. 2009. Some needed standards and best practices for calibration and validation of remote sensing data. 2009 IEEE International Geoscience and Remote Sensing Symposium V-224 -V-227. doi:10.1109/IGARSS.2009.5417692. Barrett, A. P., and S. J. S. Khalsa. 2009. Towards mapping global snow and ice cover with MODIS. In Proceedings of the 66th Annual Meeting of the Eastern Snow Conference, Niagara on the Lake, Ontario, Canada, 9-11 June 2009 (in preparation). Khalsa, S. J. S. and P. E. Eglitis. 2009. How the GEO Standards and Interoperability Forum (SIF) advances the interoperability goals of GEOSS, In Proceedings of the 33rd International Symposium on Remote Sensing of Environment—Sustaining the Millennium Development Goals, May 4-8 2009, Stresa, Italy. Khalsa, S. J. S., S. Nativi, and G. Geller. 2009. The GEOSS Interoperability Process Pilot Project (IP3). IEEE Transactions on Geoscience and Remote Sensing 47(1): 80-91. doi:10.1109/TGRS.2008.2007304. Racoviteanu, A. E., F. Paul, B. Raup, S. J. S. Khalsa, and R. Armstrong. 2009. Challenges and recommendations in mapping of glacier parameters from space: results of the 2008 Global Land Ice Measurements from Space (GLIMS) workshop, Boulder, Colorado, USA. Annals of Glaciology 50(53): 53-69. Beedle, M. J., M. Dyurgerov, W. Tangborn, S. J. S. Khalsa, C. Helm, B. Raup, R. Armstrong, and R. G. Barry. 2008. Improving estimation of glacier volume change: a GLIMS case study of Bering Glacier System, Alaska. The Cryosphere 2: 33-51. doi:10.5194/tc-2-33-2008. Fowler, D., S. S. Khalsa, R. Swick, T. Haran, T. Scambos, and D. Korn. 2008. Insights Into GLAS Waveforms Using Google Earth. Eos, Transactions, American Geophysical Union, Fall Meeting Supplement 89(53): Abstract C31A-0467. Khalsa, S. J. S., J. Zhang, and W. Kresse. 2008. The GEO Standards and Interoperability Forum. In The International Archives of the Photogrammetry, Remote Sensing and Spatial Information Sciences, XXXVII, 1759-1761, issn: 1682-1750. McAllister, M., R. Duerr, T. Haran, S. S. Khalsa, and D. Miller. 2008. MODIS Interactive Subsetting Tool (MIST). Eos, Transactions, American Geophysical Union, Fall Meeting Supplement 89(53): Abstract IN13A-1059. Raup, B. H., A. Racoviteanu, S. J. S. Khalsa, C. Helm, R. Armstrong, and Y. Arnaud. 2007. The GLIMS Geospatial Glacier Database: a new tool for studying glacier change. Global and Planetary Change. doi:10.1016/j.gloplacha.2006.07.018. Thomas, D., S. J. S. Khalsa, S. Nativi, T. Ahern, and R. Shibasaki. 2007. Processes for achieving interoperability in GEOSS. Eos, Transactions, American Geophysical Union, Fall Meeting Supplement 88(52): Abstract IN43C-08. Khalsa, S. J. S., and M. Parsons. 2006. Achieving semantic interoperability for the IPY. In International Geoscience and Remote Sensing Symposium, 2006, 3835-3837, doi:10.1109/IGARSS.2006.983. 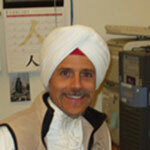 Search for more articles by Siri Jodha Singh Khalsa in Google Scholar.